4. How much does pet insurance cover from Purely Pets cost? 5. What do Purely Pets Insurance reviews by customer say? 6. What do Purely Pets Insurance reviews from the experts say? 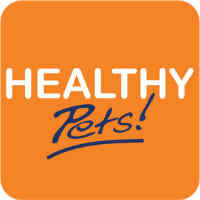 Purely Pets is a UK company that is the registered trading name of Ultimate Pet Partners Limited. It offers cover for dogs and cats and says claims are processed by qualified veterinary nurses. To learn about what Lifetime and Time Limited policies are, take a look at our Pet Insurance FAQs. Cover is offered to pets from 5 weeks old. There is no upper age limit, but you will need to pay 15% of the cost of the claim for pets over the age of 8. Some pet insurers won't cover older pets and Purely Pets' 15% owner contribution to a claim is a reasonable amount. We've listed eight other companies that offer cheap cover for older pets. Purely Pets’ policies do have conditions and limitations, so make sure you read the small print to understand exactly what is and isn’t covered. Customers have access to a UK contact centre, as well as a 24/7 online vet finder service. How much does pet insurance cover from Purely Pets cost? The cost of pet insurance varies according to factors such as the breed and age of your pet, your postcode and the level of cover you choose. Purely Pets offer a 10% multi-pet discount and customers have the option to pay their premiums in monthly instalments, with no interest added. Find out about the average cost of pet insurance here. What do Purely Pets Insurance reviews by customer say? There are very few online reviews for Purely Pets. It scores 2.86 out of 5 from 22 reviews on Reviews.co.uk. There are only five reviews on Reviewcentre.com, all giving Purely Pets 1 out of 5 stars. The reviews complain of poor customer service and increases in premiums. What do Purely Pets Insurance reviews from the experts say? Independent financial researcher Defaqto has rated Purely Pets’ Accident and Illness Extra insurance policy as 4 Star, its Accident and Illness Essential and Plus policies as 3 star and its Accident and Illness Only and Accident Only policies as 2 star. A 4 Star rated policy has “a good level of features and benefits”, a 3 Star policy has “an average level of features and benefits” and a 2 Star policy has “a below average range of features and benefits”.